Although virtually it is a Christian holiday, and Christians in Japan are a minority (there are no accurate statistics, however, they should be around 3.5-4% of the population), Christmas is very popular in Japan, but it has some different facets compared to the Western Christmas. However, it is not an official national holiday, in fact, schools and offices are all open on December 25. December 23 is instead a national holiday, because it is the birthday of the current emperor Akihito. 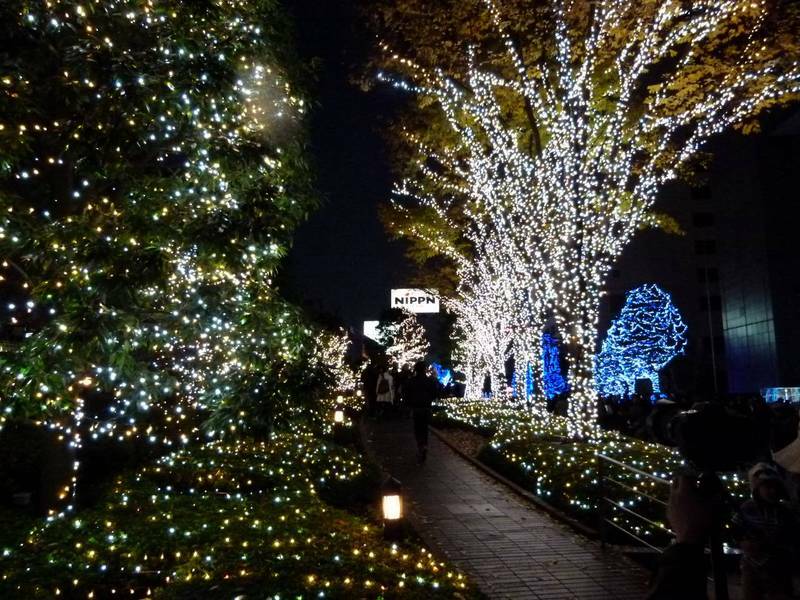 In the month of December, and sometimes also in November, the cities are filled with lights and fantastic illuminations, Christmas trees and various Christmas decorations that are removed, however, just after the 25th. 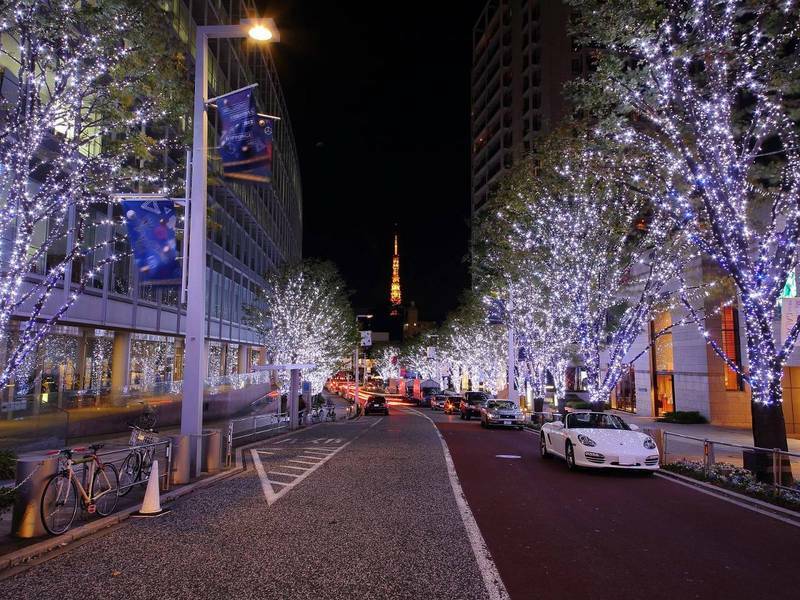 In fact, Japan doesn't celebrate and doesn't know Epiphany, at least until some shopping center won't get the idea of ​​launching this new holiday to try to make more money. Even in Japan, there is the custom of giving gifts to friends and family, and especially to their boyfriends. 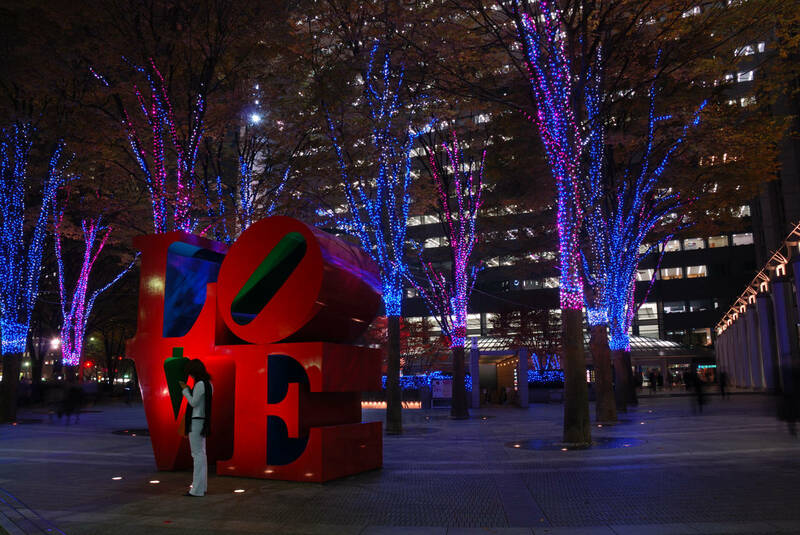 Christmas in Japan is in fact a time to spend mainly with their partner rather than with the family, perhaps with a romantic dinner and night. I remember, for example, when a Japanese friend of mine wrote me, a few days before Christmas, to be sad because she was single and had no one with whom to spend the night of December 24. KFC (Kentuchy Fried Chicken) is an American fast food chain specializing in chicken, which can be found almost everywhere in the world. What has to do Christmas with KFC? In 1974, when Christmas in Japan was already known but still a recent holiday, since they began to celebrate it as a commercial holiday only after the war, this company launched an incredible campaign across the country, which, incredible but true, gave life to a tradition. 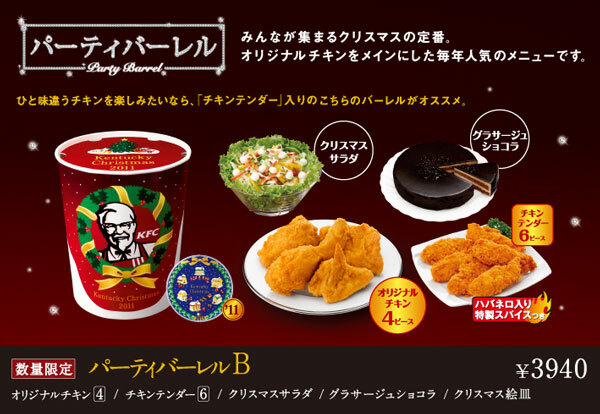 On Christmas Day eating chicken is a tradition in Japan, even better if it is from KFC. Don't be surprised, therefore, if on December 25 you will find long queues to eat in this fast food chain. 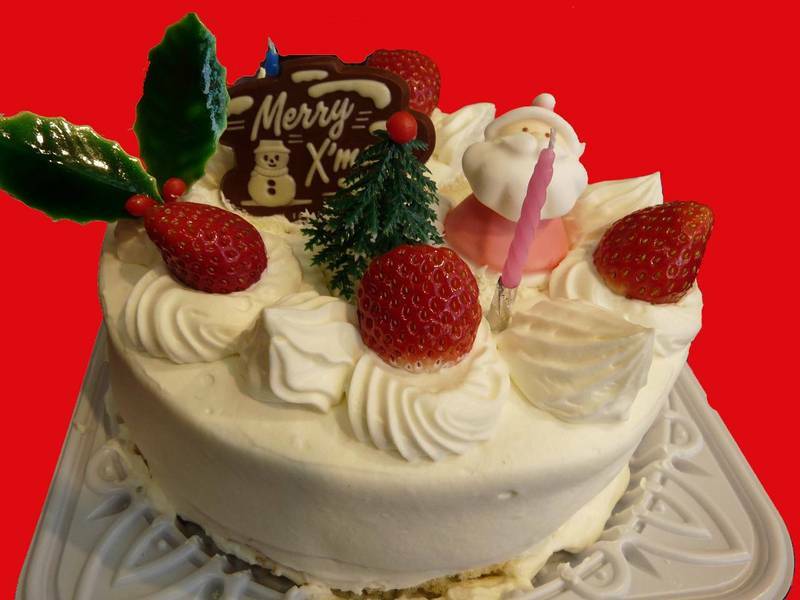 Another Japanese Christmas tradition is that of eating, especially in the evening of 24 December, a cake. This is usually a simple sponge cake with cream and strawberries, decorated with Christmas theme, as you can see in the picture below. The term "Christmas Cake" is also sometimes used in a derogatory sense referring to the girls with more than 25 years, with the meaning that, after the 25th birthday, males no longer have interest in them, just like Christmas cakes after December 25th. Obviously there isn't a Japanese word that means "Christmas", nor a kanji to write it, and the most widely used greeting is the english "Merry Christmas", with a typical japanized pronunciation, so "Merii Kurisumasu", written in katakana (メリー・クリスマス) or very often right in the Latin alphabet. 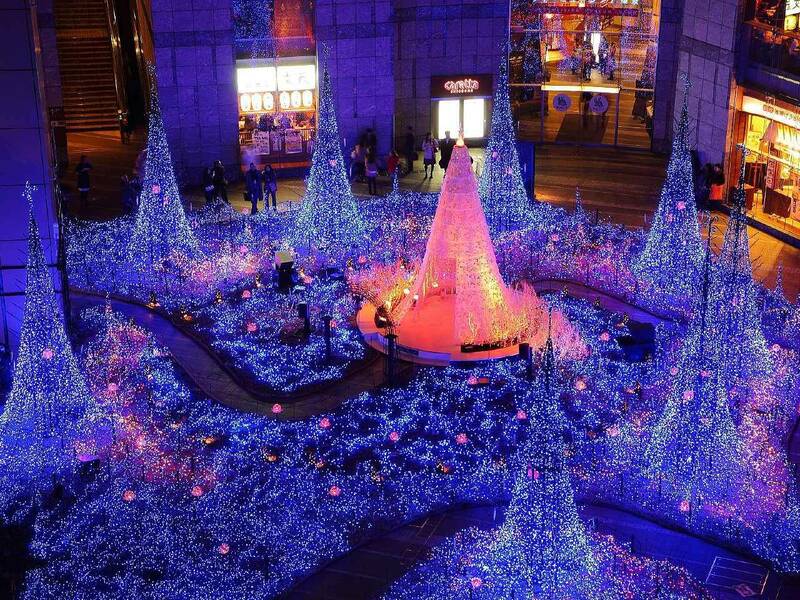 The most popular Christmas songs in Japan are Jingle Bells and All I Want For Christmas Is You (Mariah Carey). There are also dozens, perhaps hundreds of Christmas songs created by Japanese groups. Here below you can listen to a version of Jingle Bells sung in Japanese, and two typical j-pop songs about Christmas sung respectively by Nozomi Sasaki and by a group of idols (Momoiro Clover Z).